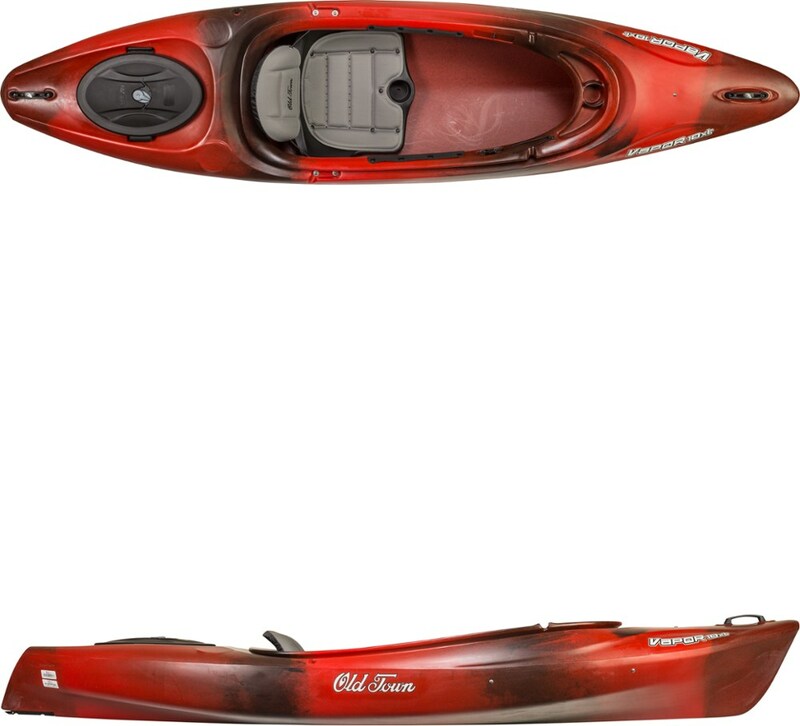 For the pioneer who doesn't want to limit their kayaking adventures only to whitewater, the Katana is designed with flexibility and comfort in mind on flat water or up to class III whitewater. The Dagger Katana 9. 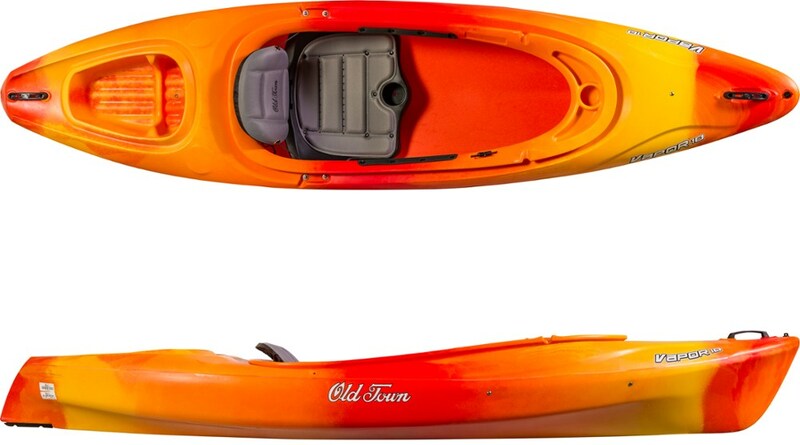 7 Kayak isn't a sword, but it does slice through the water with wicked abandon whether you're running Class III rapids or you're on a luxurious weekend paddle on your favorite low-volume river with your best friends. 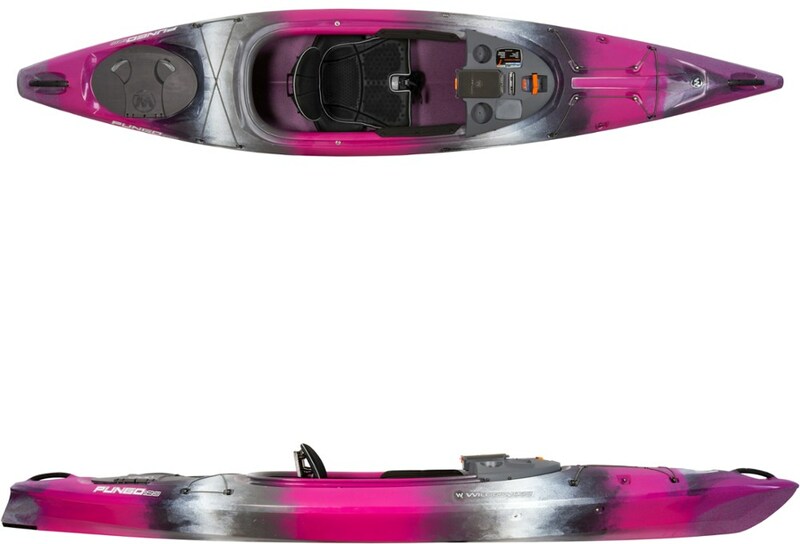 Unlike the Axis or the Roam (Dagger's other cross-over kayak options), the Katana is based off a whitewater boat that's been tweaked so paddlers will be able to enjoy themselves on more sedated outings as well. Dagger took polyethylene and rotomolded it into a minimal and balanced progressive rocker hull that tapers into beveled and flared sidewalls. Novice paddlers will appreciate the initial stability of a balanced boat, and experienced river rats will enjoy secondary stability from defined edges. When flatwater is in your sights, a drop-down skeg makes paddling pure joy by making it easy to set and track a straight line. In addition to shape, the other hint that the Katana kind of likes a rough-and-tumble ride is the Contour Ergo seating and creek seat. Adjustable leg lifters reduce pressure points on your upper thighs and rear end. Adjustable hip pads and seat give you a customized fit without you paying custom-boat prices. The bulkhead plate comes out for a safer footbrace and additional storage space up front. Between stern hatch and bulkhead in the bow, the Katana allows you to stow your gear in a balanced fashion. Built to make learning easy, the Katana 9.7 features a stable and gentle rocker, a fixed, ergonomic seat, and a built-in skeg and soft chines to help novice users gain the confidence to develop their skills.. FREE SHIPPING to 58 EMS Stores!Call Customer Service at 1-888-463-6367 to place your order. Click here for more details.. . Club outfitting. Fixed ergonomic seat. Precision adjustable thigh braces. Universal backrest. Keeper footbrace. Bungee deck rigging. Soft touch handles. Length: 9 ft. 7 in.. Width: 25.75 in.. Cockpit length: 35.5 in.. Cockpit width: 20 in.. Deck height: 13.5 in.. Weight: 48.5 lb.. Capacity: 210 lb.. Imported. 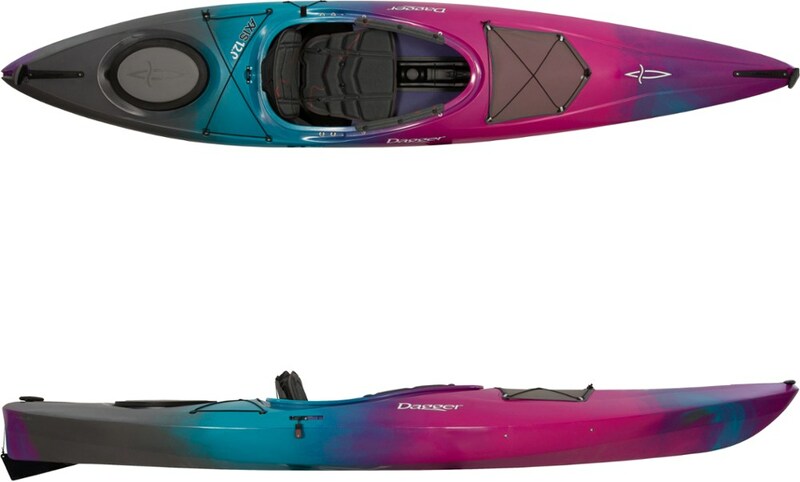 Dagger Katana 9.7 Crossover Kayak - The Katana 9.7 kayak by Dagger is designed with confidence, flexibility and comfort in mind on flat water and up to class III whitewater. 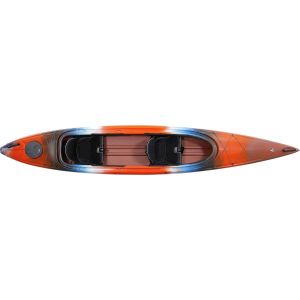 The Katana is designed to inspire confidence in the paddler with a balanced rocker profile for speed on flat water and maneuverability in whitewater. The hull design combines with beveled and flared side-walls, creating solid stability. The rounded stern deck shape sheds water easily, increasing forgiveness. The Contour Ergo Seating outfitting ensures a dialed-in fit and comfort with leg lifters, hip pads, and back and seat padding. A removable bulkhead plate maximizes storage capacity and a roto-molded storage wall with soft case storage bag offers additional space to store essential gear. The hatch and skeg placement maximizes the storage area in the stern. The Katana also offers a more spacious cockpit than traditional whitewater designs for a less confining feeling. 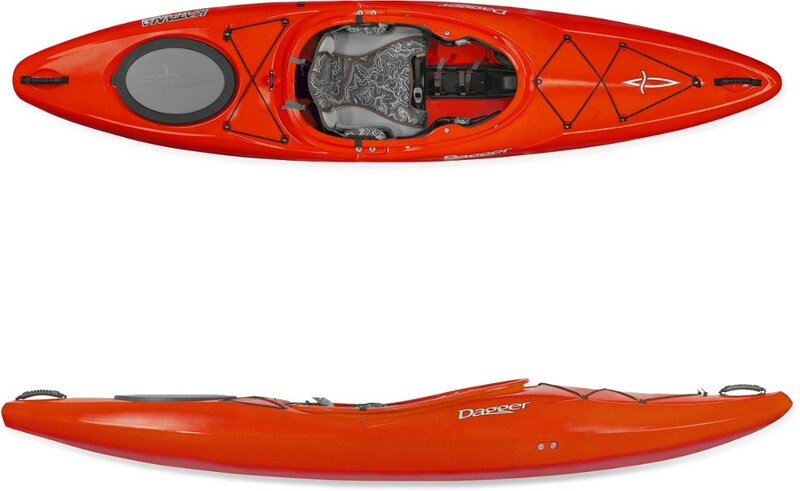 The Dagger Katana 9.7 is perfect for the adventurer who is interested in whitewater and expedition style multi-water trips, but who doesn't want to limit their kayaking adventures.